Pretty bold statement, but it got your attention! Odds are you don’t but how do you know for sure? Have you done your due diligence? Have you checked all sources for the potential worth of your comic book? You could have a comic book or collection of comics that have some very positive economic value! Weather you have a comic worth a million or a hundred, the search procedure is the same. Come along with me and I will show you how I can answer your million dollar question!! These are not straight forward easy to answer concepts and requires due diligence and time to address. You may be asking yourself, where do I find the answers? And if I knew, I don’t have time to research! I have spent the last 9 years researching and creating content for my own comic book site. I know the answers to your questions. I understand the tools needed to determine these answers. And as the old saying goes “been there done that”. 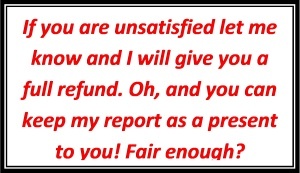 Why then, don’t I provide you with a report that satisfies your needs? Let me help! I have developed a report format to answer your questions. I keep my Overstreet Comic Book Price Guide up to date. I know the sites that have the best data. You may or may not have heard of many of these tools and sites. In my 9 years of comic book research and site building, these are the most important resources (of thousands or even millions available) that I have found important for evaluation of comic book collections of new and old collectors alike. I will boil down what would take you tons of hours to research. I will create a short, easy to read report to satisfy your curiosity. Yes, there are comics in the world that are worth 4, 5, 6 and 7 figures. In the last several years there have been individual comic issues that have sold for $1 million to $2.1 million. And as with any lottery, you have a small, very small chance of having one of these comics in your collection. More than likely though, you have a few comics worth, $10, $20, $100 or even $1000. Want to find out? Here is an example of my comic service report. Just click the link. It will open in a new browser. Do you have longboxes full of comics? You will discover what your top comics are worth. No need to second guess. Get results that will put you in the driver’s seat. Once you understand their value, you then need to know where you can sell your comics, if that is your end item goal. My report will recommend a few options. OK, here comes your question, Dave, how much are you going to charge me for this? Do you want my first born, LOL? Well, how much is your time worth? This could take you several hours per comic book if you research yourself. And if you had the tools! After much thought & deliberation, I decided $7 per comic book is a fair price. BUT you are on my regular list. So I have a special price of $5 per comic book. And because of the dedicated time I need to spend on each report, I must put a limit of 20 comics per report. 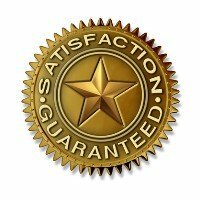 …You are covered by my full guarantee!! So how about it? Do you think my report will give you much needed information on your collection? Want to know where to sell your comics? Then why not take me up on my ridiculously low offer of 5 bucks per comic book, that’s all. Now because this report is custom created, we will need to communicate by email and transact per PayPal. As we will need to exchange individual info, contact me at my email! And put into the subject line “Comic Book Evaluation Report”. All information is between you and me. Try me out with one comic. If you like what I provide, supply me more comic book info (up to 20). So far, I haven’t found anyone else offering this service. 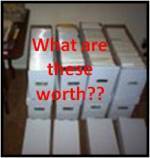 I truly hope this report will help you on your quest to better understand your comic book collection value. PS: Do you have a burning desire to know what some of your comic books are worth? Let me supply you that information! PPS: My low, low price may go up in the future. So why not grab it today and avoid the extra expense. PPPS: I take all the risk. You will lose nothing if unsatisfied.